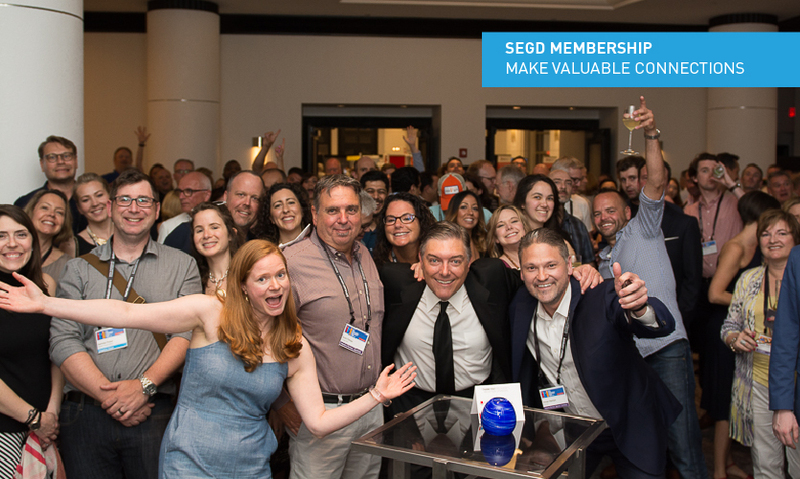 Join or renew your SEGD membership in August, and you could win a free year of membership or a firm listing! 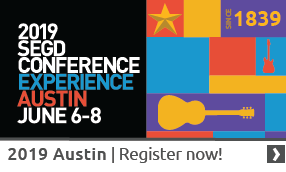 Conference: The SEGD Conferenceis the annual gathering of experiential design professionals. This is your chance to rub elbows with designers from around the world, representing the largest cross-section of XGD. During this three-day event, you’ll have the opportunity to learn about leaders in the industry, experience new products and solutions for your business and build lasting relationships with colleagues, new and old. Save the date for next year’s conference, June 7–9 in Minneapolis! Events: In addition to our annual conference, SEGD offers an array of events, covering specific topic areas in a smaller setting. New to the industry? Check out Xplorer.Looking to build your business? Try Business of Design.Do you specialize in Branded Environments,Exhibitionsor Wayfinding?We have the event for you! And don’t forget about Xlab,which focuses on cutting-edge digital innovation and the future of experience design. Search Tool: You don’t have to wait for an event to come along to connect with other design professionals. SEGD members can search other members and firms, using the Search Tool in the SEGD Toolbox.Search fellow members by location, job title, firm name and firm type. (Only members can see each other’s contact information!) Connect with people you want to work with, people you want to learn from or people you just want to get a drink with. Chapters: SEGD has more than 35 chapters around the world. They provide an exclusive opportunity to connect with designers on a local level. Check out upcoming chapter events(including studio tours, meet-and-greets and socials), visit your chapter page,and connect with your local chapter chairs. Are you ready to make valuable connections? Join or renewyour SEGD membership in August, and you could win a free year of membership or a firm listing!